This is an assortment of cases done right in our office! Our patients have all consented to have their photos published here for the benefit of readers. To satisfy the very curious and dentally knowledgable, some more detail about each case has been included. 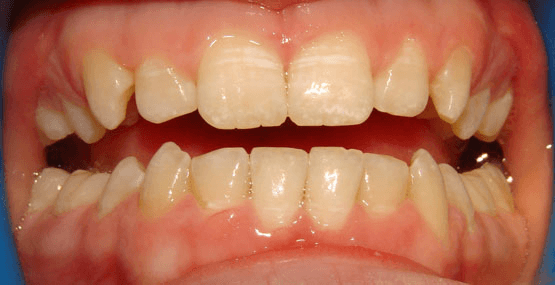 Microabrasion is a great, non-invasive way to remove congenital superficial brown and white spots on teeth. 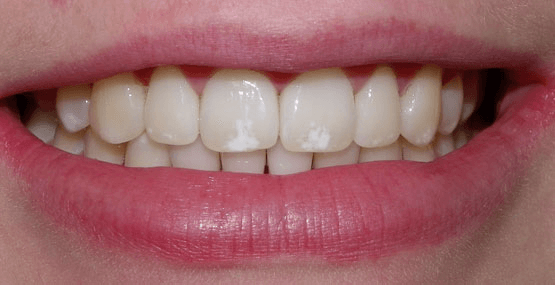 This underutilized technique employs a gently abrasive slurry that removes discolourations without compromising tooth strength or decay resistance. 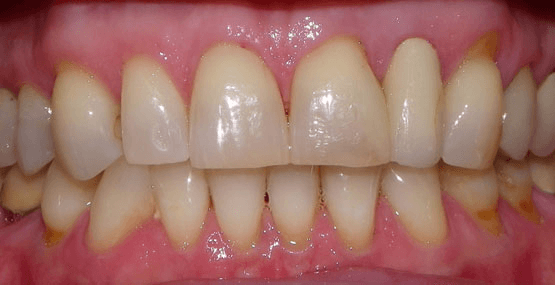 When cases are selected properly, they can often produce results better than doing fillings or even porcelain veneers. 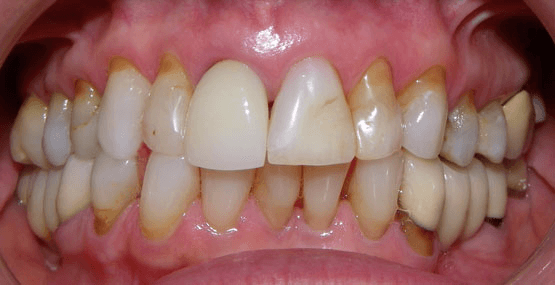 The dark brown stains often end up with the best results, which are visible immediately! No local anesthetic is required for this service. 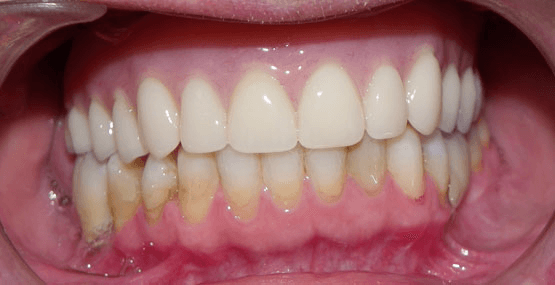 Dr. Wong’s teeth went from a C1 to a B1 – a change of 5 shades brighter. (Vitapan Classical shade guide, arranged in order of value, or brightness). 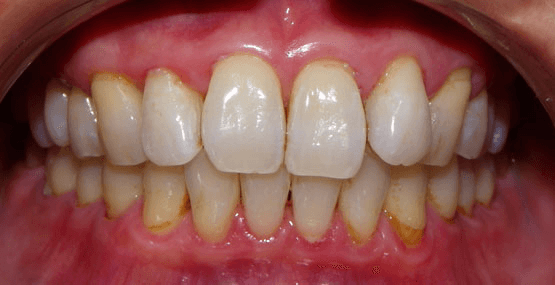 This is a longstanding patient who had not done anything about her smile for a while. 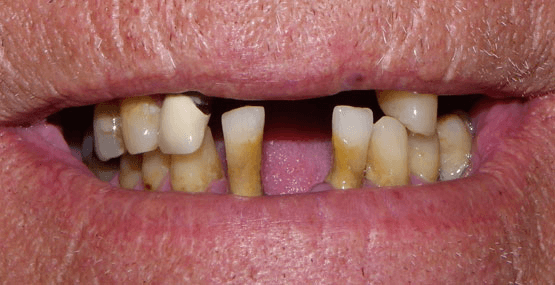 She had come faithfully for her hygiene appointments and was cavity-free, but finally admitted that she wanted to do something about her teeth. 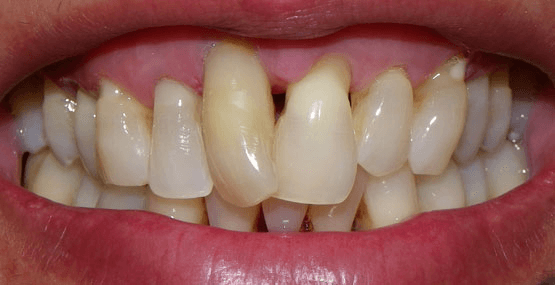 She disliked the mismatched colours of her teeth, as well as the upper tooth crookedness and unevenness. 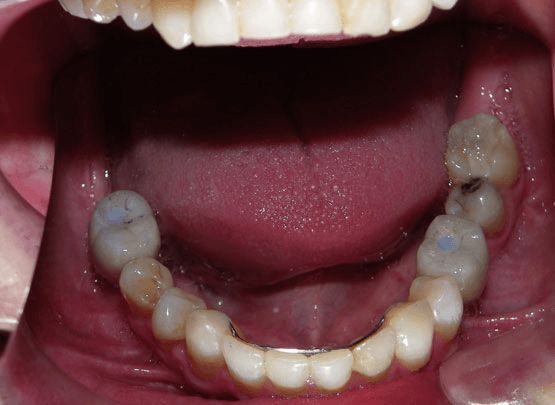 If you look closely, one of her upper front teeth was already a crown, but in order to redo her smile it was necessary to replace it with one that would match the other teeth that would be done. 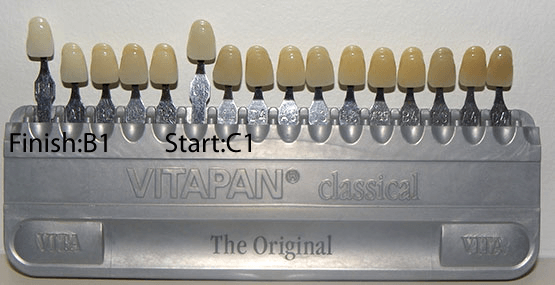 Seven crowns (on teeth 14,12,11,21,22,24,25) and two veneers (on teeth 13,23) , all e.max lithium disilicate from Ivoclar Vivadent. 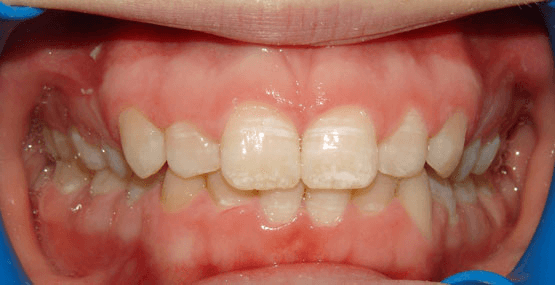 Teeth were air abraded and acid etched using Bisco’s Uni-etch 32% H3PO4 (aq) with BAC. 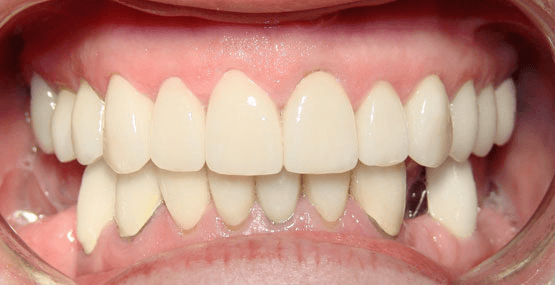 Crowns were cemented with Unicem2 (3M) and veneers were bonded in with Calibra Adhesive Resin cement as per recommended protocol. Lab work courtesy of Image Dental Laboratory in Barrie. 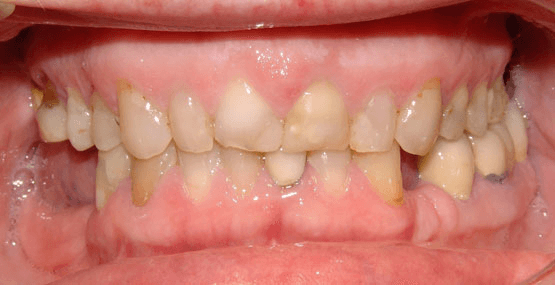 This patient was also a long-time patient of our office, coming regularly for years but always hating the very rotated upper right front tooth, and general unevenness of upper and lower front teeth. 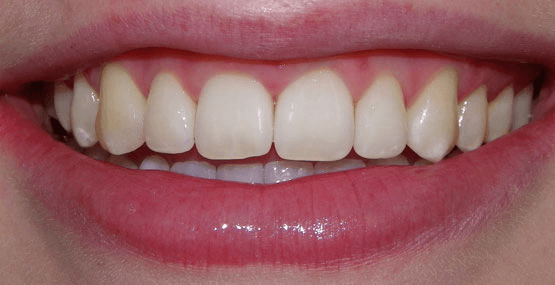 We decided to place two crowns and six veneers on the upper front teeth, as well as one crown and two veneers on the lower front teeth. 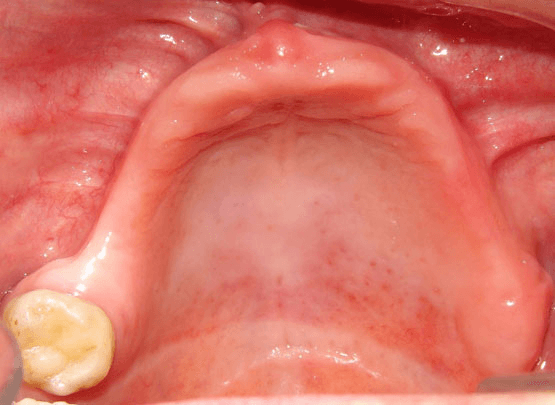 Given the extreme rotation of the upper front tooth as well as the patient’s refusal of any orthodontic straightening, we first had to complete a root canal on that tooth. All restorations e.max lithium disilicate from Ivoclar Vivadent. Crowns on teeth 11,21,32 and veneers on teeth 15,14,13,12, 22, 23, 31, 41. 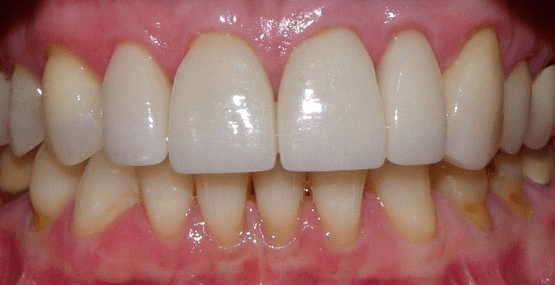 Teeth were air abraded, acid etched using Bisco’s Uni-etch 32% H3PO4 (aq) with BAC, and finally bonded in with Calibra Adhesive Resin cement as per recommended protocol. Lab work courtesy of Image Dental Laboratory in Barrie. 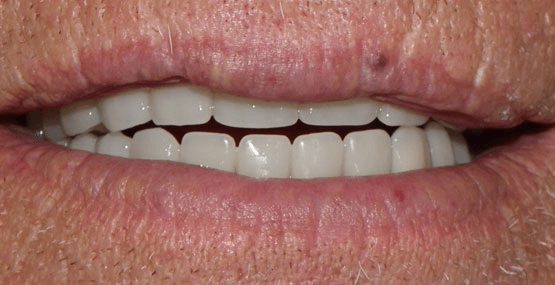 This was a patient referred to us by a local oral surgeon in order to coordinate surgical and prosthetic care. 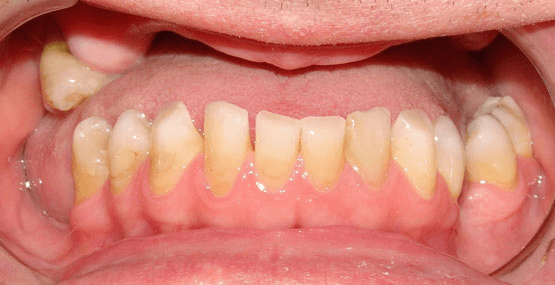 This patient was aware of multiple problems with his few remaining teeth, and wanted to know his options. 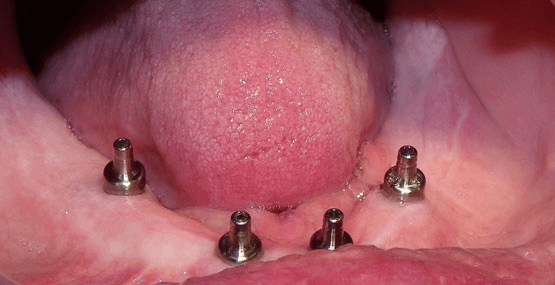 After a detailed discussion, we advised him that the long-term prognosis of heroic attempts to save his remaining teeth would be poor, and instead recommended removal of all remaining teeth, the fabrication of an upper complete denture, and ultimately the placement of four lower implants to support a full lower “fixed-removable” denture (this is a denture that can be easily removed for cleaning, but is rock-solid in the mouth while being worn, so it doesn’t feel like a denture). 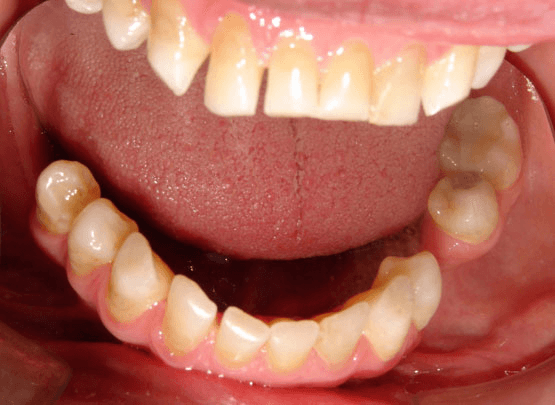 Loose lower denture problems are over! Surgery courtesy of Dr. Michael Jackson of Huronia Oral and Maxillofacial Surgery in Barrie, lab work courtesy of Shaw Laboratory Group in Toronto. Nobel Active implants, CAD/CAM milled titanium framework and abutments and framework courtesy of Panthera Dental Laboratory in Quebec City. Why was it important to get the bite right? 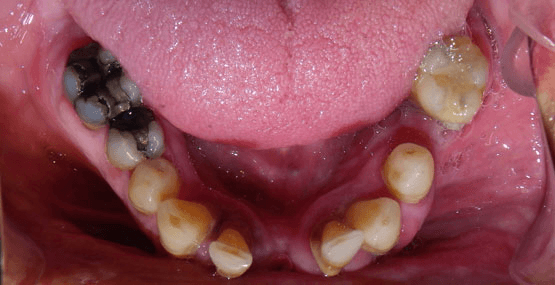 If we allowed her to continue chewing with multiple bites, the biting forces would be increased, and not only result in continued jaw pain, but would also increase the risk of porcelain fracture on the new crowns. This case was actually Dr. Wong’s presentation for the Kois Center Mentor examination. (Whitening via KoR-Night 16% Carbamide peroxide gel. Kois deprogrammer courtesy of Caledonian Dental Laboratory in Barrie. 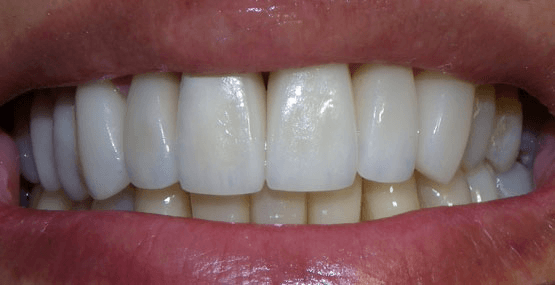 e.max lithium disilicate veneers placed on 12,11,23 and crowns 21,22. 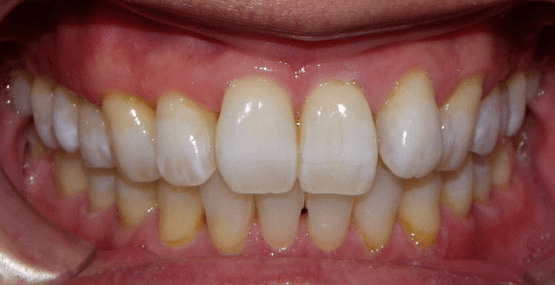 Air abrasion of all teeth prior to bonding, acid etching with Bisco’s Uni-etch 32% H3PO4 (aq) with BAC. 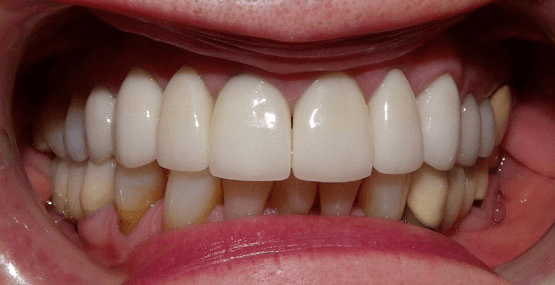 Veneers bonded with Calibra Adhesive resin cement using recommended protocol. 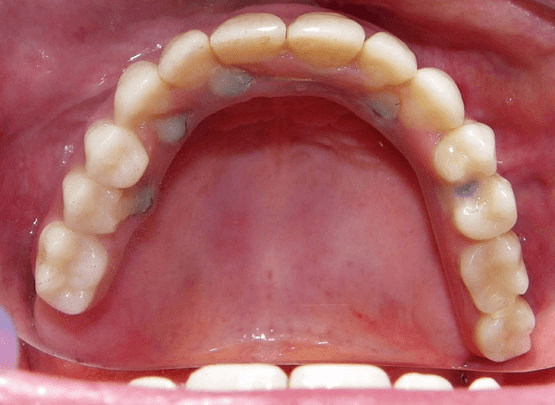 Crowns cemented with 3M’s Unicem2. Restorations courtesy of Image Dental Laboratory in Barrie.